Thinking how to open PST file in Outlook? Does it show cannot open Outlook PST file error when you attempt to open the file? Then, here is the perfect fix! Now find two easy techniques to resolve the problem and successfully open the PST file. Microsoft Outlook is one of the stable and widely used email client applications. Typically, Outlook runs on two data files namely OST and PST. OST (Offline Storage Table) files are used for the offline purpose and they are stored in MS Exchange Server. Whereas PST stands for Personal Storage Table, which is also referred to as Personal Folder File. PST is used to store all your Inbox, and other Outlook data such as contacts, emails, calendar items, Tasks, notes, journals, etc. of your Outlook profile. Generally, PST files are stored on the local hard drive where Outlook is installed. Normally, you can open a PST file in Outlook 2010/2013/2016 and 2019 versions by clicking File -> Open & Export -> Open Outlook Data File. And, in Outlook 2007 by navigating to Tools -> Account Settings -> Data Files -> Add -> Office Outlook Personal Folders File. However, at times you may see “PST file cannot be opened”, “.pst is not a personal folder file”, “error has been detected in the .pst file.”, “cannot open Outlook PST file error” or similar error messages when you try to open the PST file in Outlook. Outlook cannot open PST file when it finds an issue with the file structure or content. In most of the cases, Outlook PST cannot be opened if the file is corrupted or damaged. And, the only way to open a corrupt PST file in Outlook is by repairing it. How to Open a Corrupt PST File in Outlook? 1: Close Outlook and navigate to C:\Program Files or C:\Program Files (x86) folder. Open SCANPST (application file). 2: Enter the name of your corrupt PST file or select PST file using the Browse button. Then, hit Start. 3: Make a backup of the scanned PST file and Repair errors detected in it. 4: Launch Outlook and open the repaired PST file. Inbox Repair Tool (Scanpst.exe) is an inbuilt utility that is included in Microsoft Outlook by default. It scans and repairs your corrupt PST file. Yet, this would not guarantee complete and safe PST file repair process. If the PST is severely corrupt then this tool fails. Moreover, if the tool is mishandled then it would cause additional damage to your file. Then, how to repair PST file which is not opening in Outlook? 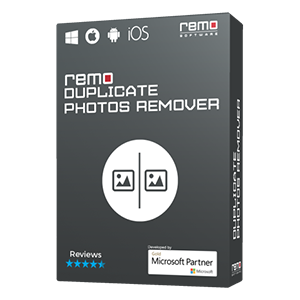 Well, you can make use of the Remo Repair Outlook (PST) tool that could repair your PST file safely and with utmost ease. How to Repair PST File Not Opening in Outlook? 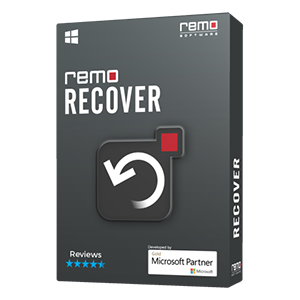 Remo Repair Outlook (PST) is an excellent utility that could easily fix your corrupt Outlook PST file in a secure way. The utility is a non-destructive tool that just extracts the data from the original file but doesn’t edit or cause damage to it. In addition, it securely recovers all the attributes like contacts, emails, notes, tasks, journals, calendar items etc. associated with the Outlook PST file that too with high precision. Step 1: Run Remo Repair Outlook (PST) software, click Open PST File button and select the corrupt PST that Outlook cannot open. Step 2: Choose the Smart Scan, provide a location to save the repaired PST and click the Repair button. Step 3: Verify the repaired PST file contents in the Outlook style interface. Now, your corrupt PST file is completely repaired. Just open it in your Outlook profile. Watch the below video tutorial that easily guides you through the entire PST file repair process. 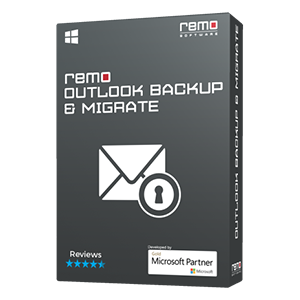 Why Remo Repair Outlook to Fix Corrupt PST File? Successfully repairs your PST file on all versions of Outlook like Outlook 2000, 2007, 2003, 2010, 2013, and 2016. 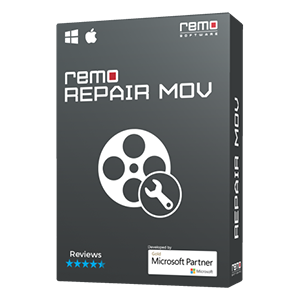 Compatible with all available versions of Windows operating system like Windows XP, Vista, Windows 7, Windows 8, Windows 8.1, Windows 10, etc. You can also utilize the Remo Repair Outlook (PST) utility to recover lost or deleted Outlook contacts, appointments, emails, and other attributes of PST file. Using unreliable recovery tools for retrieving lost or deleted emails, contacts, etc.